This is a question that visitors to Thailand often ask when they see someone in a media report identified as "M.R. So-and-so." To find the answer, read this quick guide to Thai titles that you're likely to come across in the pages of Thailand's English-language dailies. Princes/Princesses: The late King Bhumibol Adulyadej (r. 1946-2016) reigned for a very long time, so long that no children or siblings of previous kings are still alive. Effectively, almost anyone you see identified as a prince or princess is one of the late King's children or grandchildren. The English word 'prince/princess' isn't really adequate, however, because in Thai royal protocol there are different classes of princes/princesses, a concept that cannot be conveyed by the English words alone. Basically, the late King's children are of the highest class of prince/princess, called Chao Fa. His grandchildren are of the second class, called Phra Ong Chao. There are still some living princes/princesses descended from previous kings who are of the third class. They're called Mom Chao, usually identified by the abbreviation M.C., for example the film director M.C. Chatrichalerm Yugala. Current Chao Fa: Princess Maha Chakri Sirindhorn and Princess Chulabhorn Walailak, daughters of the late King. Current Phra Ong Chao: Princess Bajrakittiyapha, Princess Siriwannawaree Nariratana, and Prince Dipangkorn, children of the Crown Prince (now King Rama X); Princess Siriphachudhabhorn, and Princess Adityadhornkitikhun, daughters of Princess Chulabhorn Walailak; Princess Soamsawali, ex-wife of the Crown Prince -- her title is a special case. NB These titles depend on the holder's relationship to the reigning king; when Rama X is crowned, there will likely be some adjustments. Inherited Titles: Although royal descendants below the rank of M.C. are no longer considered members of the royal family, many of them have an inherited title that indicates their royal descent. The first is the above-mentioned M.R., which stands for Mom Rajawong. An M.R. is in most cases the great-grandchild of a king. The children of a male M.R. are Mom Luang, abbreviated as M.L (children of a female M.R. have no title). The children of M.L. 's have no titles, but they can add 'na Ayudhya' to their surname to indicate their royal descent. Examples: Former Bangkok governor M.R. Sukhumbhand Paribatra and actress M.L. Piyapas Bhirombhakdi. 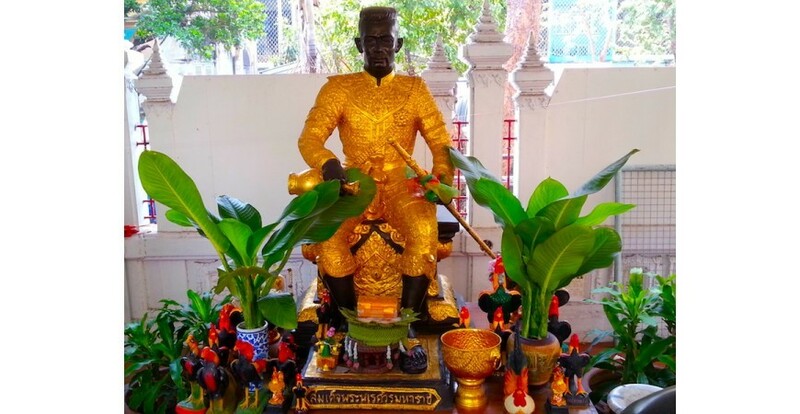 Non-Inherited Titles: Noble titles for men were abolished after the revolution of 1932 that changed Thailand's monarchy from an absolute to a constitutional one. Interestingly, two noble titles for women still exist. Women awarded higher ranks of the Order of Chula Chom Klao, a merit order similar to the U.K.'s Order of the British Empire, have the title Thanpuying (Dame Grand Cross of the order), or Khunying (Commanders, Companions, or Members of the order). These titles are for the lifetime of the holder only, like a British knighthood. Example: The well-known forensics expert Khunying Dr. Pornthip Rojanasunand. If you have questions for me, please comment.